Welcome to Disney Extinct Attractions. My name is Cole, and I’ll be your guide on today’s journey to Disneyland Paris for a tour their parade history. Tonight, audiences everywhere will finally be able to experience Incredibles 2. It has been fourteen long years since we got to experience the first film, one of the greatest animated films of all-time (and arguably one of the greatest superhero movies ever made). I got my tickets a few weeks ago because I was not going to miss seeing this movie on opening night. Fans of the first film will remember Bomb Voyage, a minor villain from the beginning of the film. 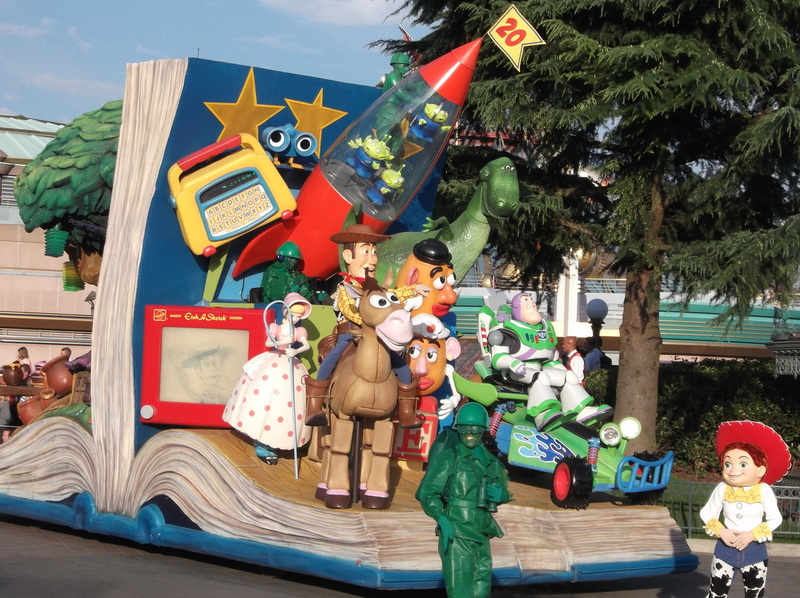 While Bomb Voyage is definitely a walking stereotype, his French antics actually serve a perfect purpose in our article today as we travel over to Disneyland Paris to look at a few of their former parades. 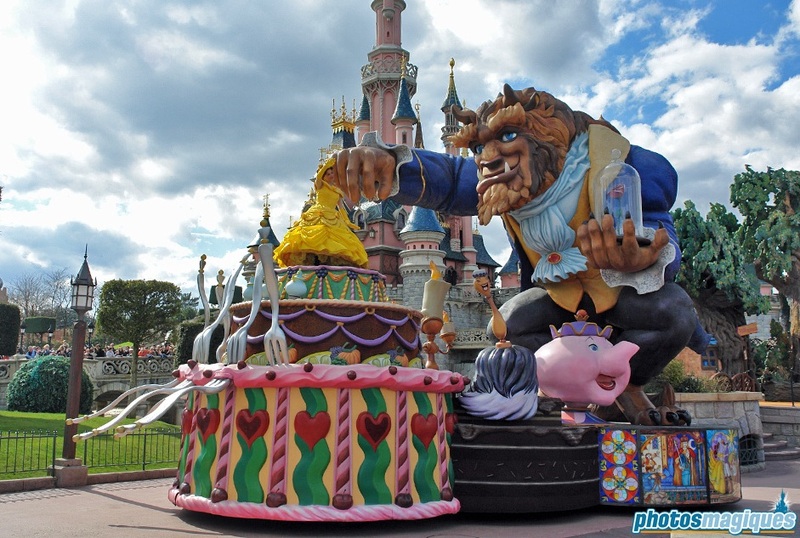 For Disneyland Paris’s first few years, its parades were all based on Disney Animated Classics like Aladdin and The Hunchback of Notre Dame, as was the norm at most parks in the 1990s. Thus, it was especially fitting when the park’s first original parade, The Wonderful World of Disney Parade, was a celebration of Disney’s animation prowess from its earliest days. Debuting on March 30th, 1998, the parade’s first float paid tribute to the cartoon that really helped Disney become the company that it is today, Steamboat Willie. I think that the float that they designed is particularly awesome, a theme that you’ll notice throughout the course of this parade. One other aspect of this parade that you may notice is that it functions as a timeline of sorts because all of the floats come through the park in the order of their release date with the exception of the Dumbo float. The parade also had three show stops, so guests would have extra time to be able to experience some of these fantastic floats while also getting to dance around with the performers. Speaking of the awesome floats, I don’t have enough room in this article to run through the entire show, but here are a few of my favorite floats (with the rest all being featured in the video above). 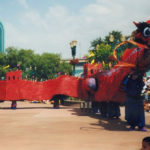 The dragon from the Sleeping Beauty float served as a great predecessor for the dragon float that ultimately made its way into the Festival of Fantasy Parade in the Magic Kingdom. It didn’t blow fire, but its design was still fantastic. My other favorite float is this beauty of the Beast. It is so richly detailed, and Belle’s size balances with him perfectly. As a whole, the Wonderful World of Disney Parade had perhaps the coolest floats of any parade that I have ever seen. Each one of them was as ornate as the ones that you saw above, ensuring that guests would not grow tired of seeing these floats. 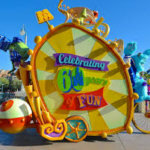 With the Millennium Celebration approaching, Disney began to try and celebrate it all around the world, primarily with specialized parades. Paris was no exception, so Wonderful World of Disney ended its run in December of 1999 to make way for the Imaginations Parade. The Imaginations Parade had an interesting idea behind it because it paid tribute to all of the continents (except Antarctica) using Mickey and Friends characters. It is difficult to tell through pictures, but each of these floats was super tall. In fact, they had to remove parts of the landscaping along the parade path because the floats simply wouldn’t fit. 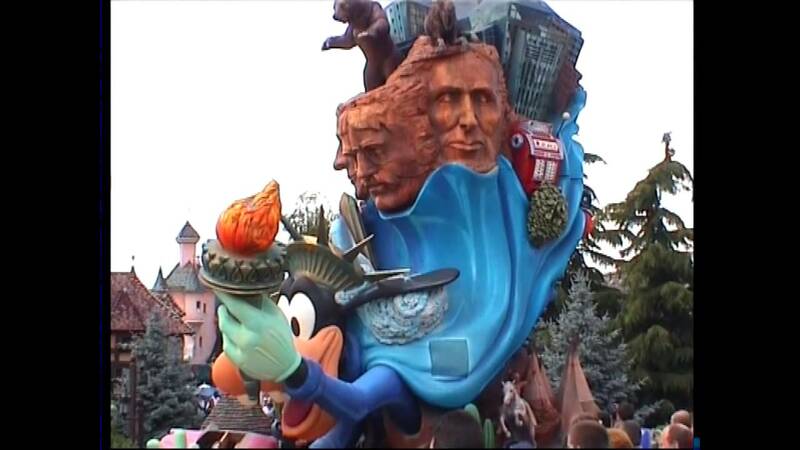 I thought that the floats all looked really cool because integrating the characters into the float and having them represent different countries made for a very interesting idea. Unfortunately, it also meant that there were almost no characters from other properties represented, which was a bit disheartening after seeing the vast multitude of characters in the previous parade. 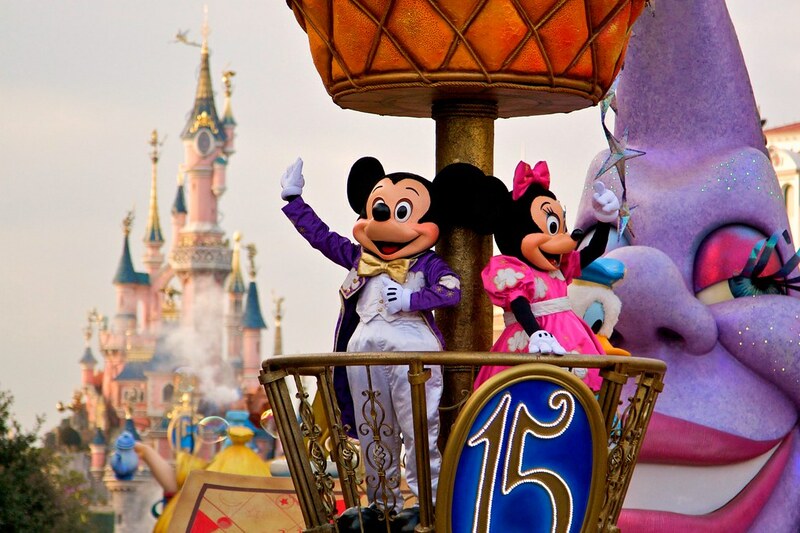 The reason, along with the tall floats not working well in Paris’s climate, lead to Imaginations’ quick demise in March 2001 and the reappearance of the Wonderful World of Disney Parade. 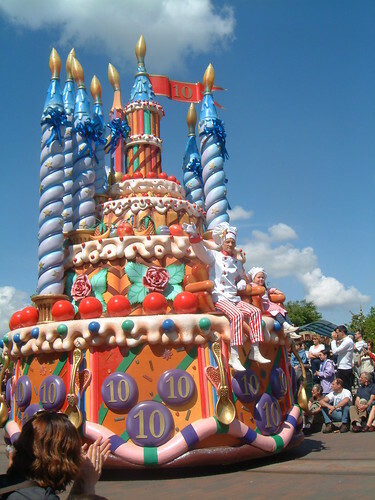 The parade stayed roughly the same until April 2002, when a birthday cake was added to the beginning of the parade to celebrate the park’s 10th anniversary. Everything stayed pretty much the same for a few years after that until Disneyland Paris was hosting a Princess and Pirates event, so the parade was renamed the Disney Princess Parade. Steamboat Willie, Mary Poppins and Dumbo were removed to make way for Snow White and keep the parade focused on princesses. 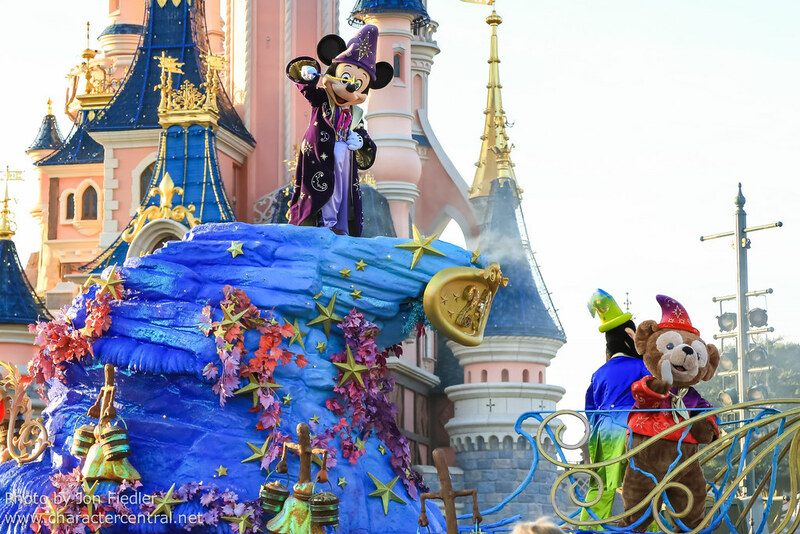 Over the next few years, there were some slight changes to the parade as it switched between being the Wonderful World of Disney Parade and the Disney Princess Parade until it was time for another change in 2007 to celebrate another Disneyland Paris anniversary. 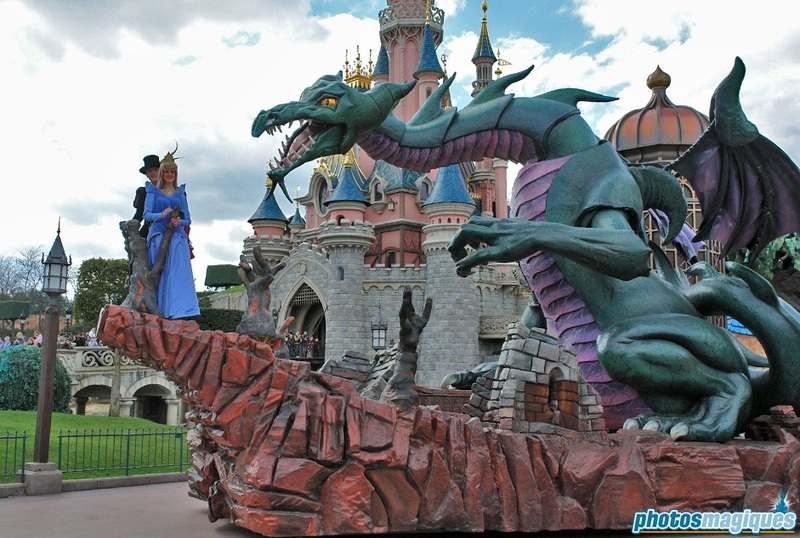 The Once Upon a Dream Parade joined Disneyland Paris on May 31st, 2007 to celebrate the park’s 15th anniversary. This parade continued the trend of amazing floats in the park, but this time with combo floats like Mary Poppins and Peter Pan as well as The Lion King and The Jungle Book. After five years, Once Upon a Dream underwent some minor changes to become Disney Magic on Parade to celebrate the park’s 20th anniversary. Opening on April 1st, 2012, this parade added a few minor elements to the show, but overall served as a direct successor to Once Upon a Dream. I really enjoyed this parade, especially the wide variety of characters present. You don’t often get to see Merlin in a parade, so I was pretty excited to finally see his representation. Also, the combination floats managed to stick around, making guests everywhere happy. 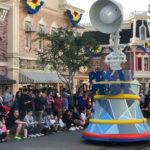 I’m surprised that we haven’t seen this type of float become more prevalent in parades today because it seems like a great way to incorporate more properties, while also being a more efficient way to entertain guests because they get multiple things to look at on each float. My favorite part of Magic on Parade was the fact that Daisy didn’t make it into the parade, but Duffy did. Normally, you would expect that from Tokyo Disneyland, but it’s a really interesting move for Disneyland Paris. The parade couldn’t last forever, though, closing on March 24th, 2017 to make way for a new 25th-anniversary parade, Disney Stars on Parade. Overall, I really enjoyed all of these parades. 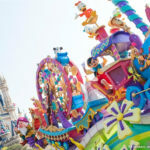 I never knew that Disneyland Paris was home to so many awesome parades, with their floats making floats in other parades look sad by comparison. Well, that brings our time today to a close, so let’s look at next week’s post. This planned land was set to be a revitalization of a land found at every resort around the world. Some of the concepts planned for this land did find their way into parks. This planned land was supposed to help make the current land timeless.